Here I have a very exciting product to share with my girls. 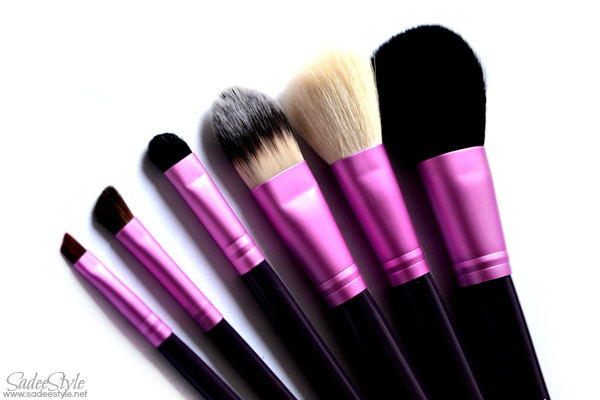 You might have seen these kinds of brushes in Sigma brand, but it's a fact that most of us cannot afford them so we desperately need something which can replace high end expensive makeup brushes. 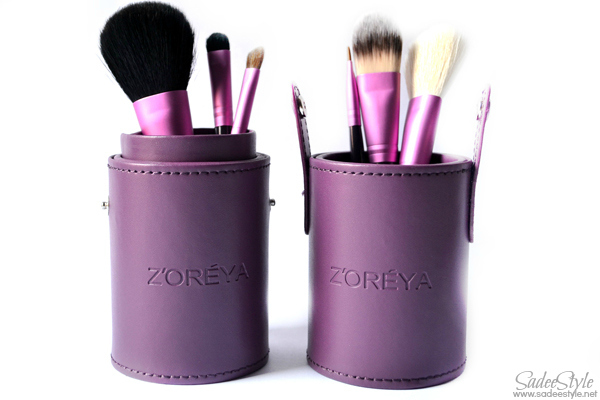 I Recently got a chance to try out these Zoreya makeup brushes and realized this just might be the answer. I found these brushes at jollychic, they have a high quality makeup brushes range to choose from. I already ordered Zoreya Five pieces travel brushes with pink suit, Jewellery Jollychic, Pocket Watch Antique Glass ball Mechanical Pocket Watch Necklace Pendant from jollychic and impressed with the everything that I received from Jollychic. 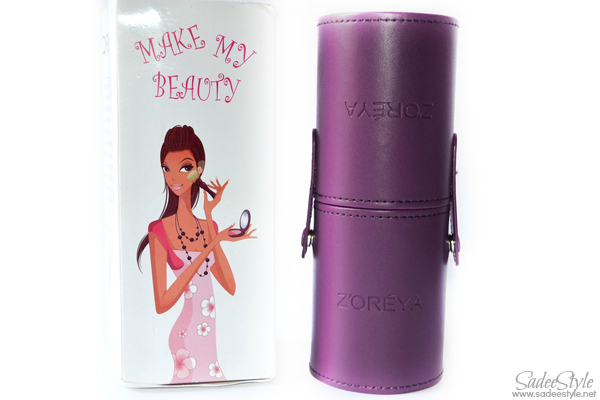 Zoreya Make My Beauty Make Up Brush Suit comes with a same leather case with seven most essential makeup brushes in. I already have been using sigma makeup brushes so I can compare both of them. Zoreya Make My Beauty Make Up Brush Suit comes up with seven makeup brushes when you can see only six brushes in the images above. It's because I just dropped lip brush somewhere and could not find it. Well I would like to start with the packaging which is quite different from sigma kit, but that's really does not matter at all. When I opened the package I was happy to found the quality of the case was exactly the same as the sigma one. Now I was hoping the quality of the packaging would be same too and it surprisingly did not disappoint me. The quality of the brushes was almost the same as the sigma one. 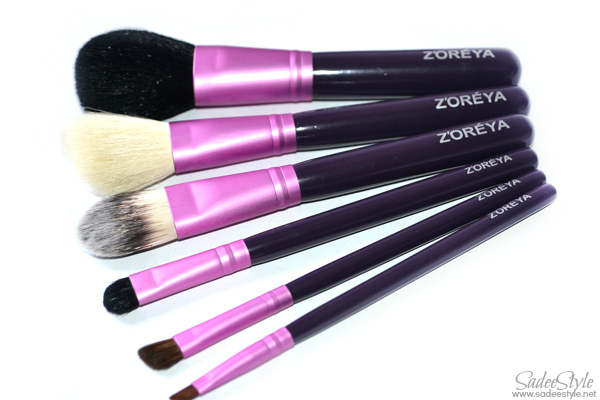 This Zoreya set have one big face brush which has black fluffy and soft bristles. I really impressed with this brush it comes with right density and pick very right amount of powder into bristle and glide on skin smoothly. The angle face brush is made with got hairs, but surprisingly its super soft and very right size. There are two eye makeup brushes in the kit one is for applying eyeshadows and the other one for blending, both are perfect in sizes and blending plus they feel soft and smooth. The rest two brushes are an eye liner and lip brush. They have added an angel eye liner brush which is very suitable for winged eyeliner and the lip brush is good at size and well shaped to apply a lipstick and to make a lips shape better. Overall, I'm highly impressed from Zoreya Make My Beauty Make Up Brush Suit, Every brush that came in a pack is soft, smooth and made with high quality bristles. All brushes are made up with strong sturdy and fine quality handles. I have not experienced a fallout either. From suit to brush everything is just so perfect. Very smooth and soft for skin. i like it very much! I have almost the same case, same color, but without the brushes.... Althought makeup brushes are never enough! would you help me in a competition? new post in the blog explaining it, thx. Very nice! I can see those in my travel set. These looks cute and worth buy. Great review. These look cute and worth buy. Great review. These look like great brushes. Thanks for sharing.